American men live shorter and less healthy lives than American women, dying five years younger than their wives and sisters on average. Despite this dire statistic, there are positive steps men can take to preserve their health. In addition to various lifestyle changes, a series of simple, radiological exams can detect diseases in its early stages, when they are most treatable. 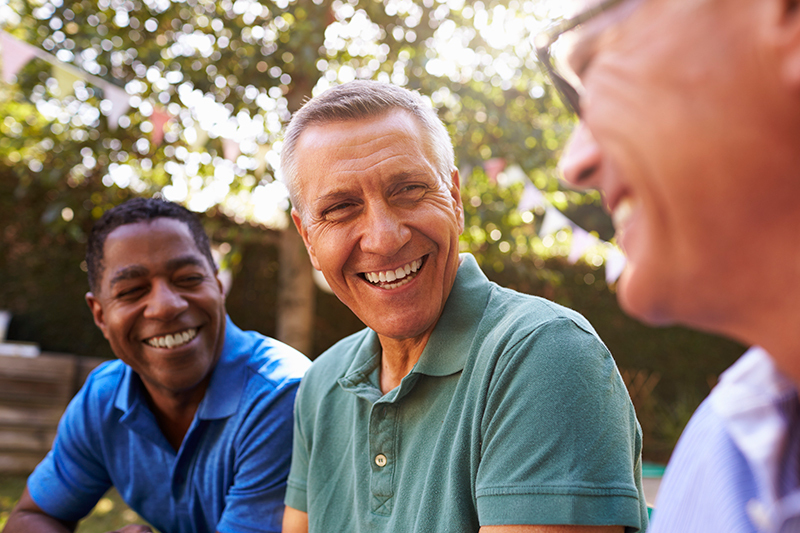 These essential screenings can help men take charge of their health and enjoy a better quality of life as they grow older. Prostate MRI creates detailed images of the prostate gland using magnetic fields, radio waves, and a high-powered computer. Since 2009, this test has played an increasingly important role in the diagnosis and treatment of prostate cancer. Using prostate MRI, doctors can determine the stage of a prostate cancer, estimate how quickly it will grow, and recommend an optimal course of treatment. Low-dose CT lung screenings are used to detect lung cancer. They are performed with low-dose X-rays to minimize the potential risk of ionizing radiation. CT calcium scoring is an X-ray exam that checks for calcified plaque in arteries supplying blood to the heart - the major cause of coronary heart disease. Heart disease is the most common cause of death among American men and was responsible for one out of every four male deaths in 2013.2 Knowing a man’s calcium score helps doctors plan treatment and prescribe medication to manage the disease and its symptoms. Testicular cancer is the most common cancer in men aged 15-44. Rates of testicular cancer have increased over the past several decades, but the survival rate is high for men diagnosed in the early stages. A testicular lump or testicular swelling is normally the first sign of cancer and should be examined immediately by scrotal ultrasound. Men with additional risk factors should discuss DEXA with their doctors, to see whether they might benefit from early screenings. The best way for men to protect their health is to be proactive: eat a balanced diet, exercise regularly, and discuss screenings with their doctor. Screenings help manage health conditions influenced by age and biology. RadNet provides comprehensive screening services to men. The information provided by our radiologists allows men to address concerns at any stage with the most accurate information and advanced technology. Our centers are run by specialists: men and women trained to detect and diagnose illnesses in particular parts of the body. Their expertise allows for greater accuracy in diagnosis and more efficiency in their health plans. Our goal is to help you stay on top of your health, however we can. Prostate Cancer Foundation: What is Prostate Cancer? Khaled A. Alswat. (2017) “Gender Disparities in Osteoporosis.” Journal of Vascular Surgery, 9(5), 382–387.